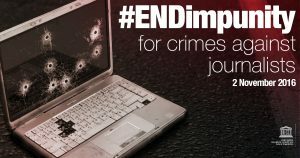 To mark the International Day to End Impunity, the Centre for Freedom of Media will host a special event focused on justice for victims of crimes against journalists for students and staff, during our International Journalism Week on Wednesday, 9th November. Guy Berger, Director of the Freedom of Expression and Media Development Division of UNESCO, will speak on the theme ‘Your right to know relies on justice for journalists under attack’. The lecture, which is open to all students and staff of the University, will be followed by an open Panel discussion with international journalists and experts. They will share their knowledge and experiences on the dangers and barriers of the working environment for journalists. The discussion will highlight the combined efforts of UNESCO, other UN bodies, governments and other key stakeholders to create a safe environment and to combat impunity. Guy Berger is Director for Freedom of Expression and Media Development at UNESCO. He is responsible for the Organization’s global work on press freedom, safety of journalists, internet freedom, media pluralism and independence, gender and media, media and information literacy, and journalism education. Before joining UNESCO, he headed the School of Journalism and Media Studies at Rhodes University, Grahamstown, South Africa. He has also worked in both press and television and had a long-running column on the The Mail & Guardian website. Besides that, Guy Berger was the deputy chair of the South African National Editor’s Forum. He holds a Doctorate in Philosophy, from Rhodes University, has published extensively, and has won several awards. 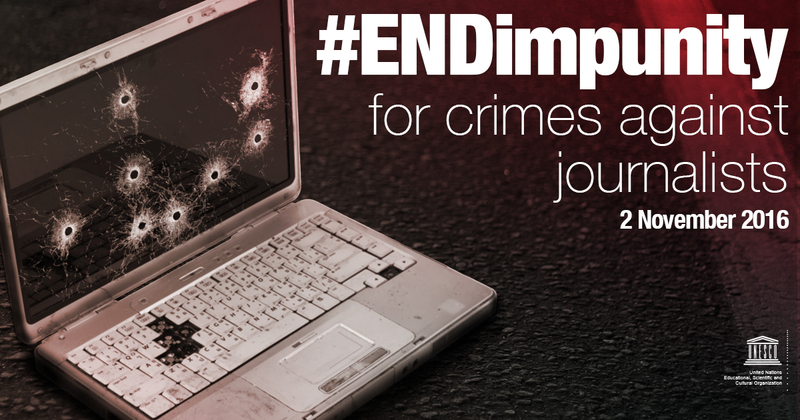 Read more about what UNESCO are doing to mark 2016’s day to end Impunity. PreviousThis UN Resolution is a blueprint to save journalists from violence or jail, but do states mean what they say?